Blog security is today’s topic. Why it is important to you and your business will be spelled out. 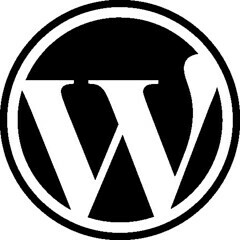 We love to build sites on the Word Press platform for our own sites and for our clients sites. It is a terrific tool for building great looking custom websites that are flexible and easy to use as well as the fact that search engines like content built on these platforms. However as is the case anytime something grows large and powerful there comes the folks who want to exploit it for their own good or just to be annoying in some fashion. Word Press sites have grown in number in explosive fashion in recent years and true to form along come the hackers. A couple years ago the platform did have some vulnerabilities that quickly got exploited by hackers. I had at least two sites that got invaded briefly. While my content was not damaged or destroyed it did cause me a day of repair work to get it take care of and working again. The Word Press development team has done a great job in recent versions to slam shut any holes so that these hackers could not get into your site built on Word Press. BUT! There is nothing these folks can do about sites that are not adequately secured with strong passwords and such. This is crucial to protecting your business website. Hackers have tools at their disposal now that search out Word Press sites and attempt to crack your login so they can access your site. I am hear today to tell you that you must secure your site and install proper security so that they do not breach your login wall. Does this require extensive coding knowledge or tech experience? No. It is rather simple actually. First of all if you have a Word Press site installed you must make sure that you change your login creds so they are secure. Many users accept a default user when they install the software. Usually that is named “admin”. You need to create a new admin user and call it something else. Hackers search out your login page and they try “admin” first for the user name and then try to crack your password. So add a new user in the Users tab in your dashboard and give it a unique name. Then make sure that htis new admin user has a secure password. I use Lastpass vault to help me store and securely track my passwords across the web. When you are creating new accounts on a webstie (and here when you are creating a new admin user) you can have LastPass generate a secure password. This will give you a password that is varied, contains letters and numbers, as well as upper and lower case letters. Very secure. Secondly I would recommend that you install a WP security plugin. In my case I use WordFence, which creates a great security barrier for your site without compromising performance. It allows me to rest assured that someone is not going to get into my site. And it lets me know if someone has tried and failed. If a hacker tries a certain number of login attempts (you set the parameter) it will lock them out and send you notice by email that it occurred. I love this feature.